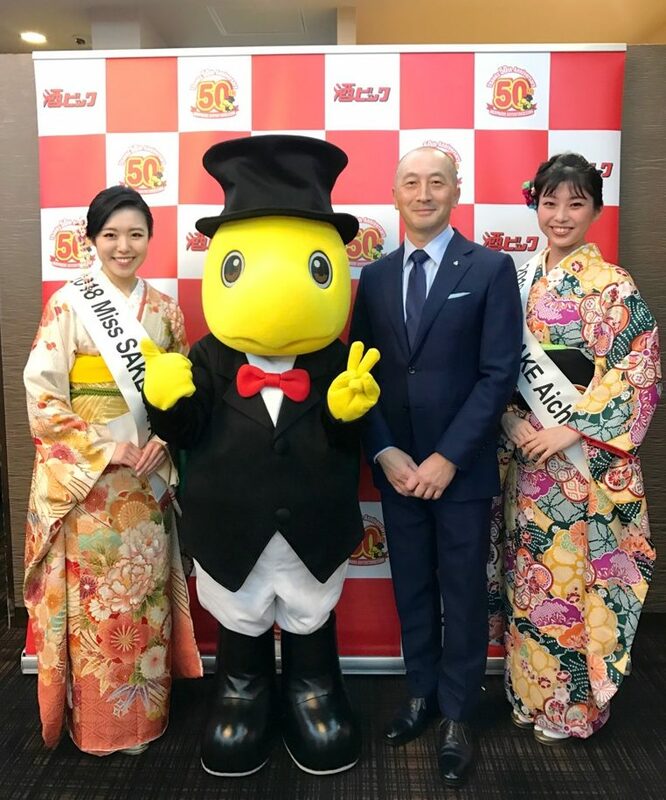 1 Asami Sudo, 2018 Miss SAKE, joined the “SAKAYA Bic OSAKE Festa 2018” at Meitetsu New Grand Hotel, Nagoya. 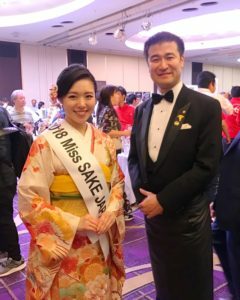 Asami Sudo, 2018 Miss SAKE, joined the “SAKAYA Bic OSAKE Festa 2018” at Meitetsu New Grand Hotel, Nagoya. 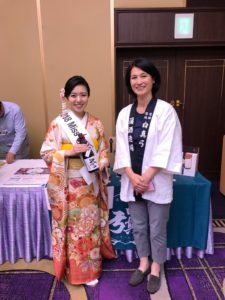 On September 24th, I joined the “SAKAYA Bic OSAKE Festa 2018” at Meitetsu New Grand Hotel, Nagoya. “SAKAYA Bic” is a SAKE retail store which has large number of shops in Tokai area. 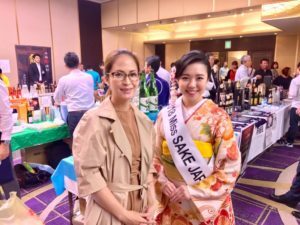 This time, more than 500 kinds of alcohol beverage including SAKE, wine, whiskey and etc. were gathered for the OSAKE Festa 2018. The event was held at twice on the day, and we could welcome about 1000 visitors to the special event. 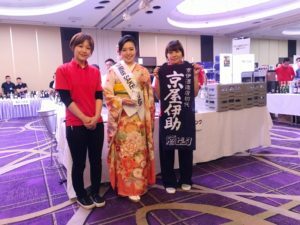 As Miss SAKE, I served sparkling SAKE to the guests as welcome drink, and helped SAKE brewers introduce their SAKE at the booth. 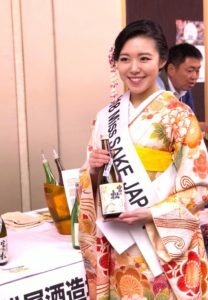 I was glad to see lots of visitors express great smiles after drinking SAKE. Also, It was an honor for me to have many words of encouragement to the activities of Miss SAKE. 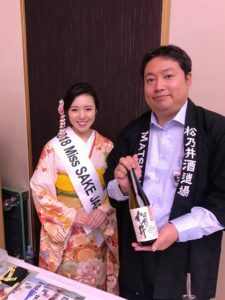 As a goodwill ambassador of Japanese culture and SAKE, I’d like to continue to try my best . I extend my appreciation to all the people involved in the event.